Ever wished you could contact your child, but they are just too young to have a mobile phone? Running late to pick them up from school and want to re-assure them you are on your way? Well now you can – choosing one of our voice plans gives you the freedom to contact them should you need to without the expense and lock in contracts of a mobile phone. 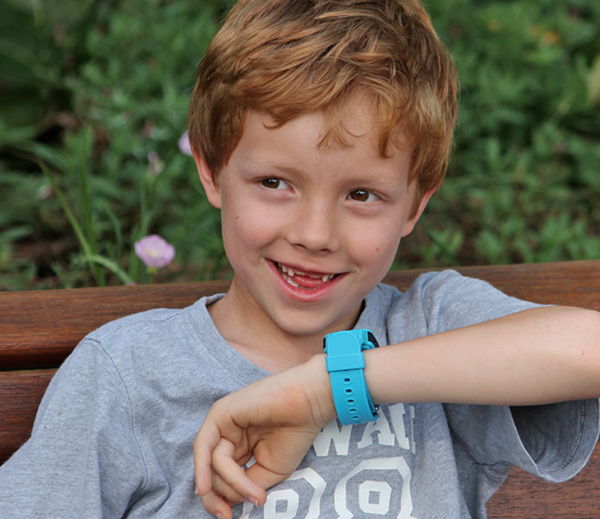 It also allows the child to call up to 6 linked mobile phone numbers from their watch if they need to get a message to you. This number is supplied to you with your set up instructions therefore, to contact your loved one you simply dial the phone number of your watch. 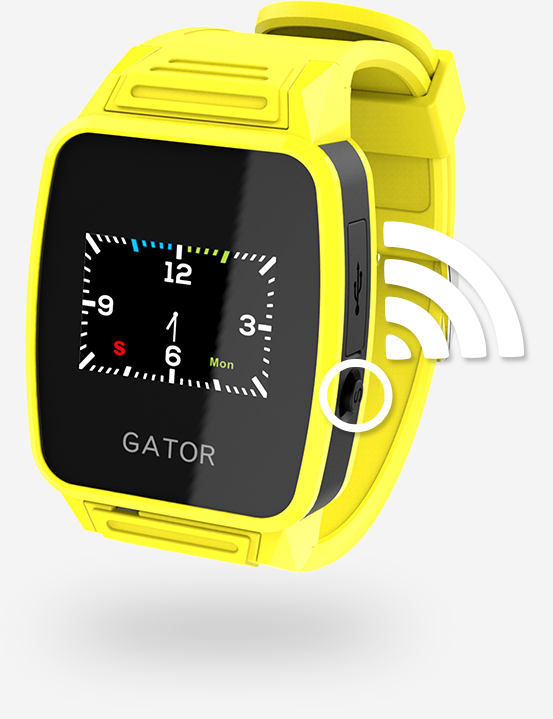 To answer the call on the watch the wearer just taps the green ‘phone receiver’ icon on the watch face. To hang up press the ‘end call’ icon. Calling the watch allows a 2 way conversation to occur so you can pass on a message, advise them you are running late or simply check that they are ok. There is no cost for calling the watch except the cost from the originating phone. Please note: The use of the voice feature will cause your watches battery to run down faster than during normal operations. Users who choose one of our voice plans have the ability for the wearer of the watch to call up to 6 linked trusted mobile numbers from the watch. Either swipe the touch screen left of right to scroll through the list of linked numbers. When you find the person you wish to call press the ‘phone’ icon to make the call. 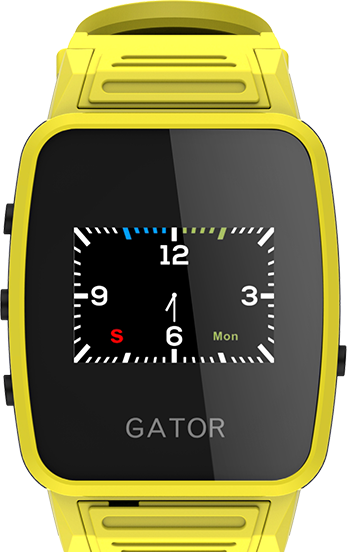 You can also scroll through the linked numbers by pressing the ‘m’ menu button on the side of the watch. The watch is only able to call and receive calls from the linked numbers to ensure the people your child is speaking to are trusted. Please note: Calls FROM the watch are deducted from your plan allowance in 1 minute increments any overages for voice calls will be charged via invoice at the end of the month at $.20/minute. When voice is activated on your SIM pressing the SOS button will now initiate a phone call to the linked mobile phone number/s – you will also still receive an SMS and back up email. If multiple numbers are linked to the watch, the watch will dial each number until the call is answered. For safety reasons as the SOS button is designed to only be used in emergencies the watch speaker is automatically closed when an SOS is initiated from the watch. What this means is that while the watch is calling the linked phones no sound is emitted from the watch. Likewise, when you answer this call you can only monitor the situation to ascertain how best to help your loved one. With the speaker closed you cannot have a 2-way conversation in this instance. This allows you to assess the emergency situation without there being any indication that the SOS alert has been activated. These calls are deducted from the voice minutes allowed in your plan, so we would highly recommend that you discuss with your child the importance of only using this feature in an emergency to avoid any unnecessary charges.